Salvador sambas through the streets in a blaze of Afro-Brazilian decadence, leaving the scent of coxinhas and warmth of South American soul in its wake. With a flourishing population of about 2,920,300, Salvador is the third largest city in Brazil. Attractions include Porto da Barra Beach, São Francisco Church and Convent and the historic district of Pelourinho. Lose yourself in the fiery flamboyance and blazing rhythm and soul of Brazil with cheap flights to Salvador. Salvador is home to Salvador-Deputado Luís Eduardo Magalhães International Airport (SSA), which is a 35-minute drive, or 1 hour 45-minute train ride, from the vibrant heart of the city. 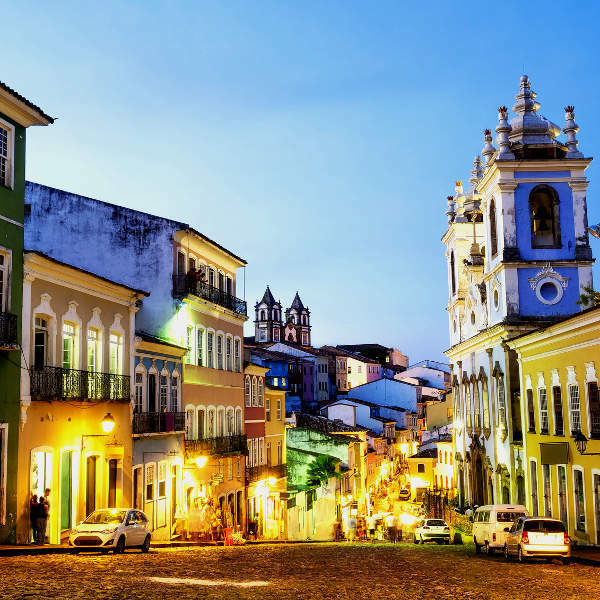 Founded in the 1500s, Salvador is one of the oldest cities in Brazil. Architecture draped in colonial and baroque grandiosity line the streets, revealing decadent secrets from days gone by. Salvador boasts some of the most spectacular beaches in Brazil. Sand in gentle shades of biscotti and buttermilk ease into sapphire and topaz water, while green palms gaze on lazily. Wander the streets at night and you will discover risqué effervescence and late night decadence that can only be found in the state of Bahia, the alleged birthplace of Carnival. Salvador experiences a tropical climate, which is characterised by sultry temperatures and significant throughout the year. Average temperatures range from 30 degrees Celsius in summer to 21 degrees Celsius in winter. Any time of year, except the rainy season (April to June) is a great time to visit, as temperatures remain consistently warm and ocean temperatures range between 25 and 28 degrees Celsius. High season is December to March. The city pulls out all the stops during these months. Notable festivals include: Farol Folia, Lavagem do Bonfim, Festa de Yemanja and Bahian Carnival. For cheap flights to Salvador, the best time to visit would be from April to July. These months coincide with the rainy season. Salvador is a humming metropolis where architecture, food and music meet for a fiery rendezvous under the balmy Brazilian sky. 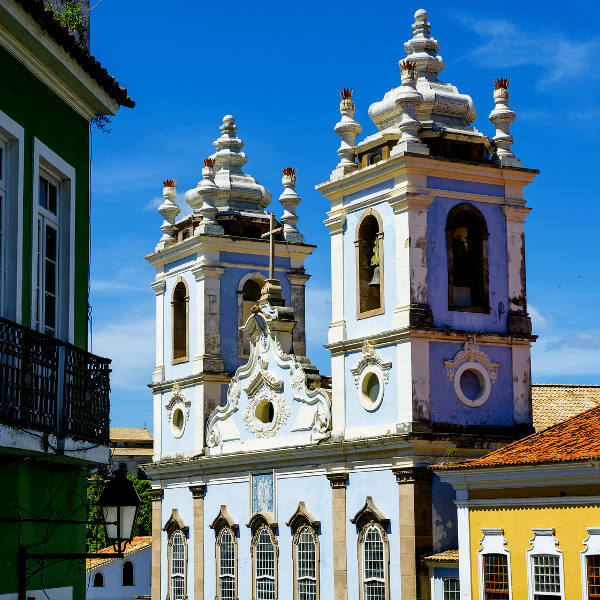 Colonial meets Baroque in the form of Nossa Senhora da Conceicao da Praia and Igreja de Bonfim, sacred architectural masterpieces; and in colourful Pelourinho, the historic heart of Salvador. Get a taste for the churrasco infused soul of Salvador by trying local delicacies and traditional cuisine. Some must try local dishes include: acarajé, a peppery dish used in Candomblé religious rituals; and moqueca baiana, a colourful stew of fish, peppers and coconut milk. As the sun sinks toward the horizon, the city begins to stir with the wild whir and purr of forró, Brazilian samba, Latin salsa and African drumming and reggae. The nightlife in Salvador is soulful and intoxicating, so don’t expect to get home before the sun comes up. A plethora of decadent beaches offer the ultimate spot for recovering from a blazing night on the town. 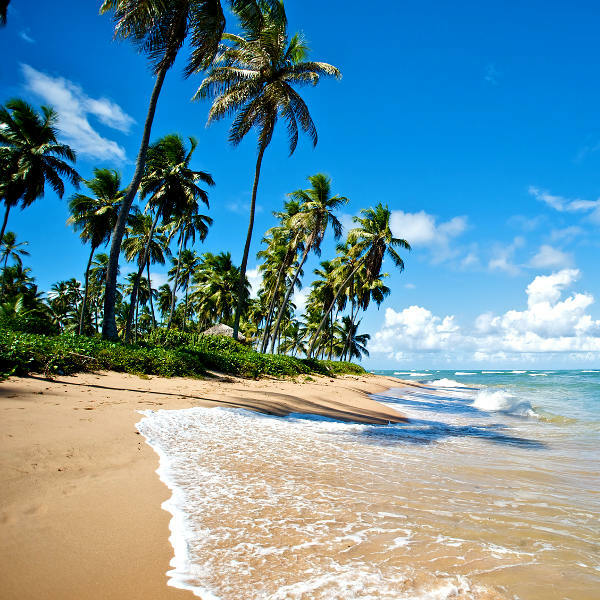 Compare several airlines and book your cheap flights to Salvador online at Travelstart! Salvador is a sprawling capital city and one of the most impoverished cities in Brazil, so it is advisable to take certain precautions and maintain vigilance while travelling around the city. Travel insurance to cover theft and medical expenses is recommended. Avoid travelling alone, and through deserted areas, especially at night. Only make use of licensed taxis and minibuses, especially when heading home after a night out, and agree on a fare beforehand. Avoid flaunting wealth and carrying large sums of cash and valuables. At bars and clubs, never leave your drink unattended and don’t accept drinks from strangers. Travelling to places outside of the main tourist areas (Barra, Rio Vermelho and the Pelourinho) is not recommended. Avoid sunburn and heat stroke by using sunscreen with a high SPF and drinking plenty of water. Salvador is at risk for Yellow Fever, Zika virus, malaria and dengue. Vaccinations are required, and precautions should be taken to prevent mosquito bites. Pregnant women should avoid travelling to areas affected by Zika virus. Immunisation against hepatitis A & B, typhoid, and rabies are recommended. Other routine and recommended vaccinations include MMR, diphtheria-tetanus-pertussis, varicella and polio.